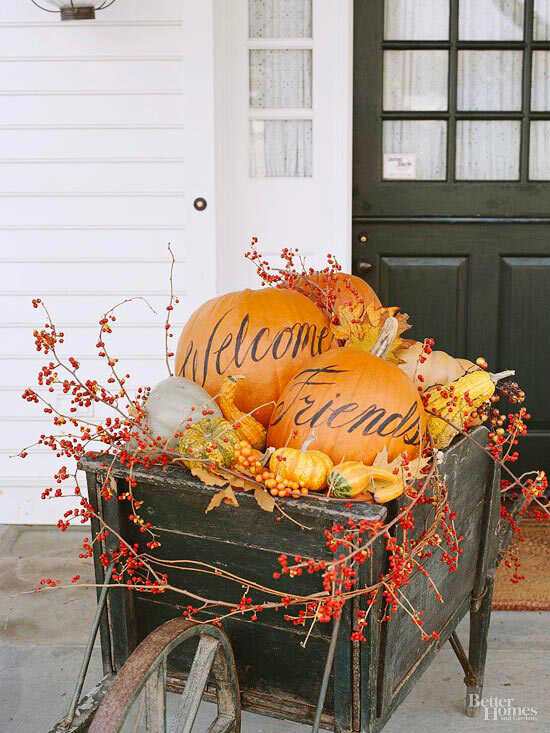 Fall is coming soon so let's welcome it beginning on the outside. 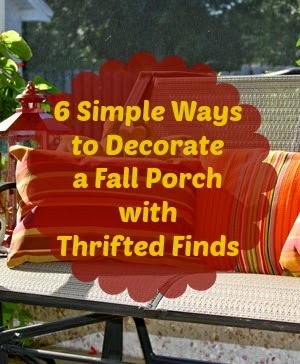 Here are six ways to decorate your fall porch using unique items you can find at the thrift or antique store or yard sales. Who doesn't love to save a few dollars on decor? Happy shopping and decorating! 1. 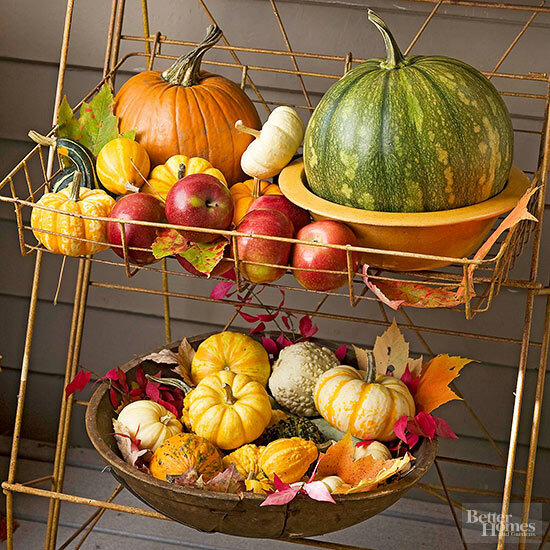 Fill a tiered wire plant display with pumpkins, gourds, and fall foliage. 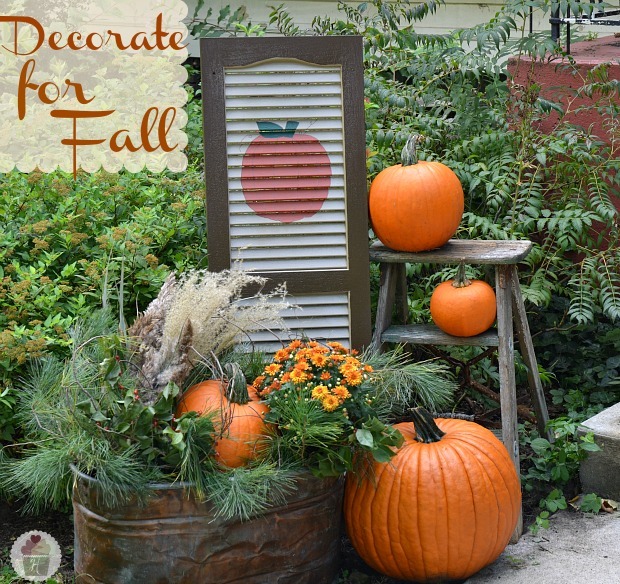 2.Use old shutters painted in fall themes for decor. 3. 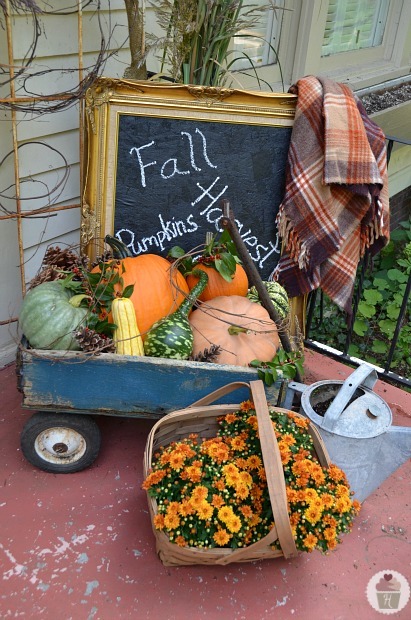 Park an old wheelbarrow or wagon near the front door and fill it with fall flowers and pumpkins. 4. 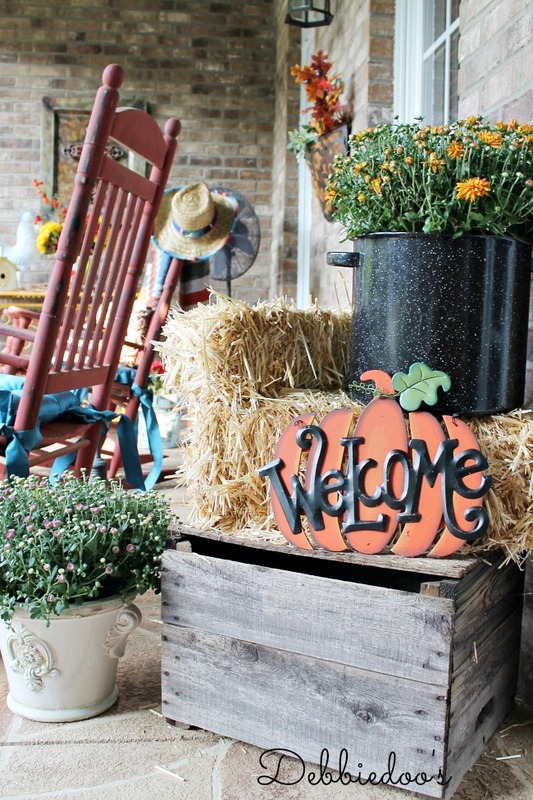 Create a vignette by placing mums in old stacked suitcases. 5. Display mums in an old canning pot. 6. 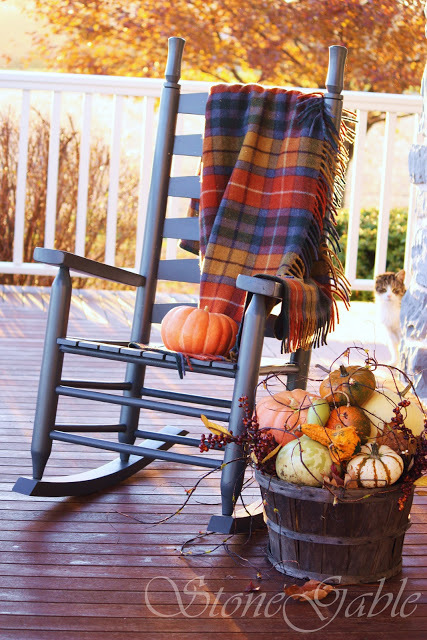 Throw an old blanket across a chair for warmth and texture. Fall is my favorite season! Thank you for the cool :) ideas!